Having a blog for your business is great source of information for people who visit your website. But, besides the main information, there are several hidden benefits also! First, let’s start at the beginning so everyone is on the same page. There are people online who don’t know what a blog is, so what is it exactly? A blog is a place on your website where content is regularly posted. This content will typically relate to your industry specifically, though it can be written about anything. Your blog is not built for the same reasons as a normal blog owner. They start a blog for personal reasons or to generate revenue. Your blog on the other hand is another form of marketing, created to bring new visitors to your website and convert them into actual customers. So, why does your business need a blog? Well, there are hundreds of answers to this question. First and foremost, new customers. Did you know that sites without blogs and actively posted content are less likely to attract new online customers? A blog does a number of things for your business both online and offline. And even if their are post that haven’t been updated in years, they’ll still be working for your business. Here are just a few reasons your business should consider adding a blog. Each benefit of having a professional blog will build upon one another, adding immense value to your business. A blog will help with your SEO, so your business will be ahead of your competitors. So, what does a blog have to do with how my business is found online? The most important thing that your blog will do for your business is generate more traffic. Each blog will be viewed from search engines like Google, Yahoo and Bing. There are many ways to generate traffic aside from search engines. One of those ways is as simple as posting on your social media. Each time a new blog is posted, you can post links on all your social sites such as Facebook, LinkedIn, Twitter and Google Plus where your current and potential customers are able to view and shared your post for others to see. Why not give your business a voice across the internet? When your blogs are shared, the links lead back to your blog and website, where people can learn more about your business and services that you offer. Anyone online can read your blog posts and see how knowledgeable you are about your field. A professional blog is a simple way to assert your authority, showing people that you can be trusted and are an expert on matters pertaining to your business. Posts shared on social media or even ranked in search engines like Google, Yahoo or Bing have the potential to be visited month after month for people searching for information contained in the blog post. The more content you have on your site, the more shareable and searchable content there is. Your blog posts will be beneficial to them, and a steadily updated blog will show them you are dedicated to your business and a source to be utilized. Your blog is created to improve your website, interact with both search engines and social media and bring more people to your website. Search engine optimization, or SEO, will be used in each blog post. The more posts you have, the more information search engines are able to read and work with. 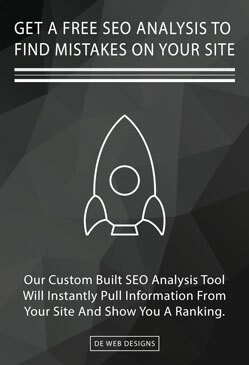 They will see new information, interlinking to helpful pages, and several other strategies that will help rank your business higher in the rankings. A professional blog for your business that is actively posted on will be viewed as more reliable. By posting regularly, search engines will check on your businesses website more often, and that also improves your rankings. Each blog post will be linked to several of your services, and this technique is called internal linking. Each blog will have relevant information to the topic it’s on. It will also contain information about other services that you offer, which will be linked to other pages of your site. This allows readers to click the link and read that page about the specific service mentioned. This assures that extra material that may be needed will not need to be accessed off site, and it will be easily found in the context of your own pages. So, why should your business start a blog? It’s a no-brainer. Your website will get more traffic, which leads to more business, and it’s steady advertisement. Your posts, new or old, will continuously drive others to your site, make them aware of your business and answer the questions they are searching for. Plus, we will manage your blog for you and write the content! If you have any questions regarding why does my business need a blog, or about our blog management, don’t hesitate to contact us today!